I find it comical that a 15 hdcp is offering expert criticism of very successful tour pros. Somehow Casey and Donald manage to scruff around the golf course just fine. As far as Faldo, I don't know what he might shoot today, but I would guess he could manage a par or two, even though he is so much shorter than everyone here on the Sand Trap. Purhcase Tiger's Irons from his "Tiger Slam"
Does the 9-iron have a bent shaft, or auto glass fragments? I didn't read the post where someone claimed that today's players are weaker than previous generations. Today's players are bigger, stronger, better conditioned, etc. no question. An argument could be made, however, that with today's purses, one doesn't have to win anything and can still live a million dollar lifestyle. For those players, being in contention to win tournaments, especially majors, is not comfortable. We have seen this happen in years past with Mickelsen, Garcia, Westwood, Love, Couples and many others. When it came time to make a shot to win, many times they didn't perform. In Mickelsen's case, that has now changed. But I bet the other names mentioned would agree that they let tournament slip away that they shouldn't have. What has set Tiger apart from the others is that he has, for the most part, not let tournaments slip away when he had the lead. The same could probably be said of many pros in Jack's era as well, but there did seem to be a number of players who could stare down Jack and win. Certainly Watson and Trevino come to mind immediately, but there were others like Billy Casper, Gene Littler and Hale Irwin. When they were in the mix on Sunday afternoons, they rarely folded. Whether that was due to their internal makeup or whether they needed to win in order to cash a big check is up for discussion. In any event, it's good to see some of today's players starting to step up to challenge Tiger. Certainly makes for more interesting TV viewing. If the quotes of Kostis and Faldo used in the original post had said that, I would agree. But they don't. Kostis says maintain some flex, Faldo says to keep the knee solid. Both are good advice, especially for those who don't stay balanced and lose their weight to the outside of their back foot. That's the killer move, in my opinion. It takes some real athletic ability to get back centered over the ball on your downswing if your weight gets outside your back foot. After reading through 10 pages of point-counter point on this, I'm wondering why it even matters. Straighten a little, straighten a lot, don't straighten, what does it matter as long as you don't shift your weight to the outside of your back foot. The back foot has to be braced, period. Makes me wonder whether the OP was really interested in anything except bad-mouthing Kostis and Faldo (a common occurence here). Easy there, cowboy. Be aware that there may be people here who might be familiar with the course you are playing (I assume you are a Harmony Longhorn, right?). Certainly would have made more sense if you would have said the course exit which crosses the driving range tee area . I couldn't figure out what you meant either. Now it makes sense. Of course they would. The Dolphins are all over 60 years old now. I have read a couple of Patrick Cohn's books, and he is quite good. If you go on his website http://www.peaksports.com/index1.php , you can opt to receive periodic email "lessons" and/or free e-books. Here's an example of why driving distance discussions are so "interesting": The other day I was playing in about a 20 mph wind. One hole had exactly 227 yards to carry a fairway bunker, directly into the wind. I tried to carry it, didn't quite get all of it, but hit it OK, I thought. Unfortunately, the ball hit right into the face of the bunker. So I hit that drive 226. The next hole was directly downwind, a 535 yard straightaway par 5, with a fairly firm fairway. I hit my drive pretty good and, when I got to the ball, my GPS said I had 238 to the center of the green. So I hit that drive around 300. Same swing, same ball, same person. So I could say I hit my drives 300, or I could say I hit my drives 226. 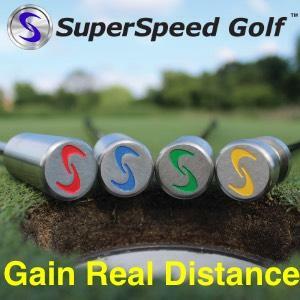 In actuality, the important distance is carry distance, and I know that routinely I hit it 245-250 in the air, the rest is determined by wind, bounce, roll. Obviously you never saw Jack Nicklaus play. It's impossible to compares sports eras. Equipment, course conditions, nutrition, fitness training, all of these are very different now than even 10 years ago, let alone 25 or 50. My feeling is the elite athletes of each generation would be roughly equivalent. Jones=Hogan=Nicklaus=Woods. It would be interesting to have todays young guns play a tournament using the equipment of the 60's (persimmon woods, balata balls) and play with the course conditions back then (shaggy greens, unsanded divots). The really good news is that you know exactly what part of your game needs work. I don't think so. I believe it's OK to brush a growing piece of grass on your backswing in a hazard (so long as you don't ground your club), but not a loose impediment (dead branch or stick). It does seem odd that loose impediments are specifically mentioned in the rule.